McKay Barlow is our named broker and loves working as a Real Estate Consultant. He grew up in Camarillo; he is the fourth of ten children and the oldest son of Dave and Lorraine Barlow. He attended Dos Caminos Elementary, Los Altos Middle School and Camarillo High School. He participated and lettered in Varsity Wrestling at Camarillo High School. He graduated from Brigham Young University with a BA Degree in International Studies with an emphasis in Global Economics. McKay is also fluent in Spanish. He lived and worked for two years as a missionary for his church in Argentina. 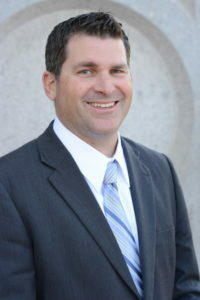 McKay has been working full time in Real Estate since 2002. He specializes in listings, marketing, foreclosures, property management and sales. McKay has quite a gift of design and knows how and when to upgrade properties to maximize their value. If you asked McKay what he would most like to do outside of family time he would tell you coach. He loves to coach youth sports and teach our young people about life through sports. McKay loves all sports but can most often be found running, golfing, and coaching. He loves to talk about whatever game was on last night especially his beloved BYU Cougars and Los Angeles Dodgers. Family is McKay’s greatest joy. McKay married his best friend Rachel Thompsen in June 2000. They have five children – Anna, Carly, Mac, Brad, and Emery. If you want to see him get really excited just ask him about his wife or children; he loves to talk about them!